Avril Organic Cleansing Foam gently removes impurities from your face with its lightweight smooth texture. Natural formula includes moisturizing*, purifying and antioxydant organic Lotus Flower. With AVRIL Organic Foam Cleanser, your skin feels clean, soft and fresh ! Enjoy a smoothy fresh feeling with Avril Organic Cleansing Foam ! 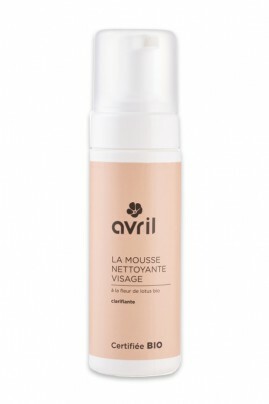 Press the pump of Avril Organic Cleansing Foam into your hand. Apply it on damp face, neck, cleavage using circular motion massage. Rinse with clear water. Use with caution : avoid any contact with eyes. In case this happens, rinse abundantly with clear water.